Is the Nasdaq going to collapse? I do not know. 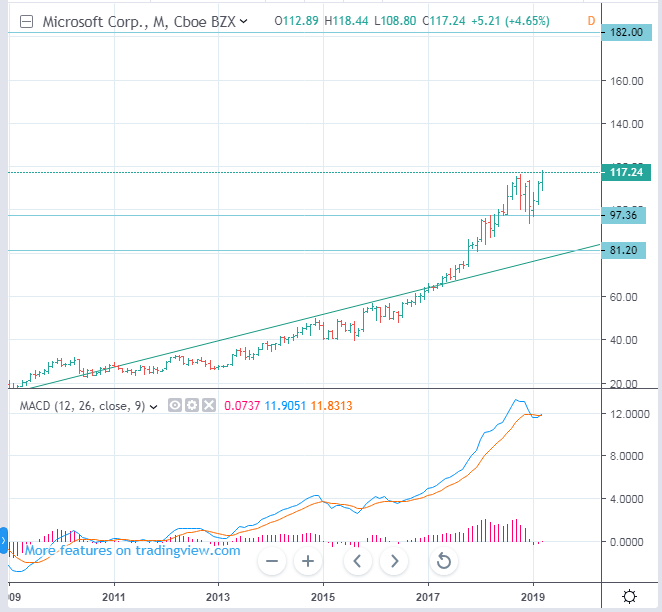 Will Microsoft stock prices continue to rise? I think so. How high will it rise? In my opinion, at least, it is likely to go up to 180. In the short term, it could fall to $ 97 or $ 81. However, in the end, it will rise higher. Even if the Nasdaq Composite Index and the Nasdaq 100 Index take sideway-walks, Microsoft stock prices are likely to rise. They seem to want to do that.